Service Today’s licensed electricians provide all types of electrical services, which includes power points, surge protection, fault detection and lighting. Our expert electricians have been servicing Sydney residents and businesses for many years and we take immense pride in rendering the best electrical services to all of our customers. Call Service Today’s professional and dependable electrician Sydney on 1300 859 383 for quick electrical services. In many instances, emergency electrician in Sydney is needed for fixing the problems, and at such crucial moments, Service Today comes to your aid. Our trained and experienced electricians render expert electrical services 24 by 7 to the residents and businesses of Sydney and we take great pride in our work, and in return, our customers depend on us for all their electrical requirements. Call us for any kind of electrical work, whether you require new wiring at your place or need to disconnect outlets and switches to move them at the new location. Service Today Electrician keeps the safety on priority and so that we first disconnect the power to certain wires safely and then start the other work. After the completion of renovation, our electricians can rewire the outlets and switches and set them appropriately in the new location – just what you want from an electrician! We have all the latest equipment and tools and experienced electricians in Sydney to render non-stop service 24 hours a day on all 7 days a week. 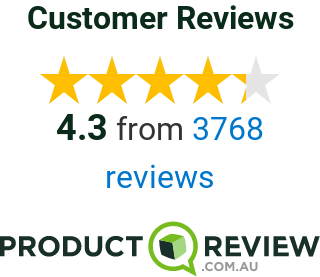 Why Choose Service Today As Your Local Sydney Electrician? Safety: We keep a safety on priority. And we do not think about only your family’s safety but the safety of our staff and the general public is also very much importance. Understanding of Job: Our electricians are highly qualified who can understand the issue quickly and provide you with the best solution. Cleanliness: At Service Today, we have a team of well trained and well-mannered electricians in Sydney. We will never keep the place dirty, we will clean up before we leave and make sure you are happy with the work. Reliability: We provide reliable electrical services in Sydney. Our customers can totally rely on us for any kind of electrical services. Punctuality: We try our best to solve your problem as soon as possible. You will get the on-time electrical services without any delay. Why Service Today’s Electricians Are The Best? Service Today’s electricians give personal care and attention to every electrical work so you can be confident that every job we do will be of the top quality. All electrical work is handled with extreme care & safety by our licensed domestic electrician. If you’re in need of an emergency electrician in Sydney or nearby areas, either for residential, commercial or industrial work, hire the top Sydney electricians from Service Today Sydney electrical services. If you’re looking for a local electrician Sydney or require immediate help for emergency electrical service, directly call Service Today on 1300 859 383 for a prompt response and a fast service. Whether you’re facing electrical problems at your home or office, don’t worry as our local electricians are always ready to help you to get things back up and working as swiftly and efficiently as possible. With minimal interruption to your home or office life, we intend to solve any problem you’re having with an expert team of residential and commercial electricians in Sydney. Regardless of how big or small the job is, with an eager eye for detail and a customer-oriented approach to each job, our local electricians deny settling for anything less than the most flawless, dependable results. We offer you with the finest service and deliver you with the finest results, which make us one of the prominent electricians in Sydney. Want Expert Electrician in Sydney for Lighting Solution? We have acquired strong industry knowledge of lighting systems and so we can offer the perfect solution for all your lighting applications. We’re not only experts in lighting installations, but also we’re experts in lighting selection. Our local Sydney electrician can assist you in your decision making process to ensure you’re getting the perfect lighting solution for your home, outdoor entertaining area or office space. Our expert electricians will find out faulty power points, earth leakages, poor wiring etc. and fix the issues. We provide fault detection services for residential and commercial properties. Remember, even a small fault, as a flickering light can be an indication of probable danger. Only an expert electrician can correctly diagnose your electrical system and get the fault repaired. If you currently have single power points and would like to upgrade them to double power points or want to install entirely new power points or want to replace the faulty power points, Service Today can assist you. We offer a quick, cost-effective power point installation and testing service. Our expert electricians fully test newly installed power points to ensure your family’s safety. Need An Electrical Contractor in Sydney for Surge Protection? We can install surge protection on your property, which will shield all your electrical appliances and devices from a sudden electrical spike. In the event of an electrical spike, the surge protection system will cut off the power before it can cause any harm to the electrical devices. Service Today knows that electrical problems can’t be postponed and that your time is precious. Our local electrician in Sydney turns up on time at the exact location as scheduled and completes the job on time, every time. When you call us for solving your electrical issues, be assured that you’ll get the best service from our professional electricians Sydney team. Regardless of how complicated the electrical problem may be, we’ll fix it and get everything up and running efficiently in no time. You may also want to read about our Guarantee Certificate. If you’re in need of quality electrical solution or require the service of an emergency electrician Sydney – Call 1300 859 383 for a quick response and a fast service.